Being charged with a DUI (Vehicle Code 23152 or 23153) can result in the loss of your job, suspension of your driver’s license, destroy your reputation, result in embarrassment and humiliation to you and your entire family. A new law comes into effect January 1, 2019, that you have to have an IID (Ignition Interlock Device) installed on your vehicle in lieu of having your license automatically suspended for 30 days on your 1st DUI. Imagine the embarrassment and humiliation of having to explain to your children why you have to blow into a tube to start your vehicle; having to make excuses why you can’t take co-workers (or clients) out to lunch when it’s your turn; same with you (or your spouse) having to make up reasons why you can’t take your kids (and others) to soccer/baseball practice. All the more reason to hire a skilled and experienced DUI lawyer like Mr. Karas. 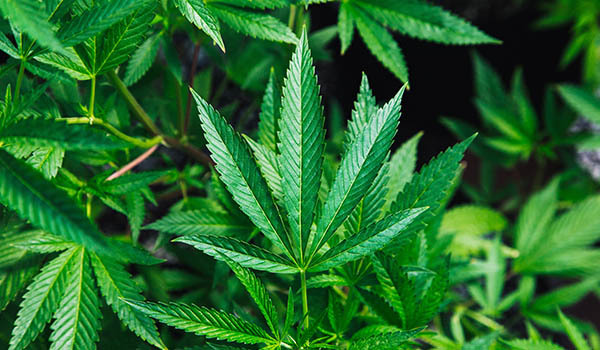 Mr. Karas has extensive experience handling thousands of DUI whether related to alcohol, drugs (including prescription medication) or a combination of both up to and including trial. Mr. Karas has represented the gamut of clients with BAC (Blood Alcohol Content) as high as over a .50 (according to the “experts’ they should have been dead of alcohol poisoning) to under the .08 threshold and obtained consistently outstanding results on behalf of his clients. If you are charged with being under the influence of drugs (illegal or prescription), most criminal defense lawyers are not even aware that drug related DUI cases are harder to prove. As a Trial Attorney, Mr. Karas knows the importance of excluding evidence (keeping it out) so the DA will not be allowed to present it at trial. Regardless of the BAC, Mr. Karas examines the basis for the “stop” by the police which led to your arrest for DUI. Was it because you were speeding and a Radar Gun was used (objective evidence) or was it something subjective like you were “swerving” or “weaving”? Mr. Karas takes all of the above factors into consideration (not just BAC) in mounting a defense to the DUI related charges against you because if the stop was unlawful, all evidence can be suppressed so your BAC is not the end all even if over the .08 legal limit. If the stop was unlawful or a pre-textual (for example, you were coming out of a bar a 2 a.m. in the morning so you “had to have been drinking”), a Motion to Suppress all evidence (the observations made by the arresting cop, your statements or admissions, the BAC results, etc.) may be viable in which case no evidence equals dismissal. Please read the Legal Guide Mr Karas wrote and published in the “Resources” section entitled, “How Do I Know Which DUI Lawyer To Retain?” to help you decide who to retain to best represent you against the DUI charges. Do you really want a DUI “celebrity” lawyer or law firm who uses “special appearance lawyers” to maximize their profits while doing nothing on your case? Lawyers and law firms that subscribe to “Jail Mail” to send you unsolicited ads with misleading “discounts” who do the same thing? Finally, if you choose (unwisely) to go with a Public Defender to handle your DUI case, be aware that the PD will not represent you at DMV hearings to fight to retain your privilege to drive. If you do not hire a skilled and experienced DUI defense lawyer to do so or try to to handle it yourself, the DMV will suspend your license if a hearing to contest the potential suspension is not requested within 10 days of your DUI arrest. You need a skilled and experienced DUI Attorney like Mr. Karas who knows DUI law and all applicable defenses, the rules governing admissibility of evidence (including forensic lab results which must comply with the California Code of Regulations), files motions to suppress evidence, knows how to effectively cross-examine witnesses expected to testify against you, etc. to systematically “break down” and exploit every weakness in the DA’s case and fight for you to get the best outcome for you as well as at the DMV to save your license from being suspended. Do I have to be “drunk” to be charged with a DUI? Being “drunk” is very subjective. Individuals have different tolerance levels to alcohol depending on their height/weight, gender (female versus male) and other factors. Tolerance to alcohol at very high levels is also possible due to alcoholism. 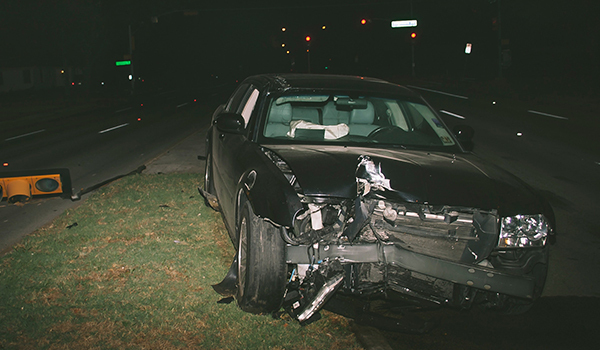 Many people don’t even think they’re “drunk” while driving. The actual legal standard in DUI cases is whether you were operating a motor vehicle safely under the circumstances. If you are under the influence of alcohol, drugs (even prescription medications) or combination of both, you can be charged with a DUI. 2) Vehicle Code section 23152(a), which means that even if your test result is less than the .08 legal limit you can still be charged with a DUI. Reasons include bad or erratic driving, failing Field Sobriety Tests (FST’s), the police officer’s observations of anything from alcohol on your breath, slurred speech, unsteady gait, etc. after you are pulled over. Accused of a DUI? Contact John Karas. What about if I used drugs (illegal including medical marijuana) but didn’t drink alcohol, can I still be charged with a DUI? Yes. 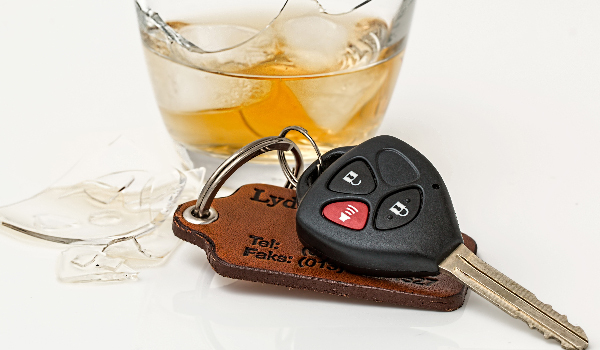 Vehicle Code section 23152 expressly states that a person can be arrested for a DUI whether under the influence of alcohol, drugs or a combination of both. Can I be arrested for DUI just because I took prescription medication that was still in my system when I was stopped? Yes. 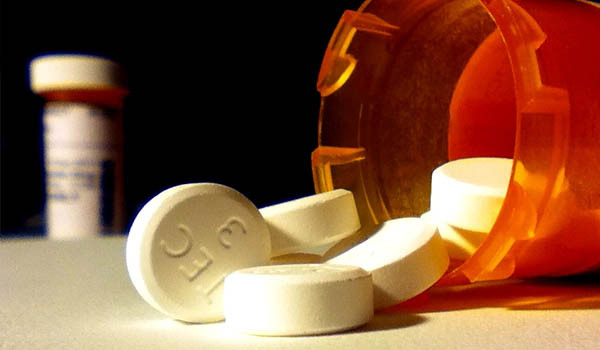 Prescription medication can and often does impair a person’s ability to operate a motor vehicle just as much or more so than illegal drugs (depending on dosage). If you inform the police officer that you have taken prescription medication, you will undoubtedly be told (not asked –see below) to submit to a blood test. Also, if you submit to a official breathalyzer (see below) and your BAC test result is under the .08 legal limit, police officers routinely then suspect that you may be on illegal drugs or medication and ask or even force you to submit to a blood test as well. 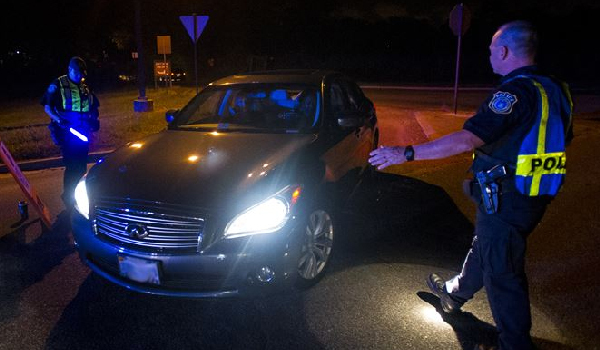 Do I have to perform field sobriety tests (FST’s) if the police officer asks me to? No. You are under no legal obligation to perform any “field sobriety tests.” Most of these tests you may be asked to perform have little to no evidentiary value and are highly subjective. Additionally, most police reports are written in such a way to support the police officer’s conclusion you may be under the influence of alcohol and exaggerate how “poorly” the person supposedly performed FST’s to provide a basis why you were arrested for a DUI. FST’s are commonly performed on the side of the roadway which can be an uneven surface (meaning sloped or at a slant) which can impair your performance. Women, in particular, may have issues such as having to perform balance/walk a straight line tests with or without their high heels on. Even the count to 30/estimate 30 seconds or repeat the alphabet tests can be skewed due to your agitation/nervousness over having to perform such tests particularly with cars passing by. However, Mr. Karas strongly suggests that instead of telling the officer, “I know my rights, I don’t have to do FST’s” (which will lead the officer to conclude that you have an “attitude” and everything he sees/hears from that point on will be negative in the report he or she writes about you being under the influence of alcohol), the best thing you can do is politely inform the officer that you have a medical condition you have which may impair your ability to perform the tests (but NOT what medications you were prescribed in treatment for those medical problems). In any case, if you refuse to perform FST’s, it cannot be used as evidence against you in court. Do I have to submit to a field breathalyzer at the scene of the stop? No. You are under no obligation to submit to a field breathalyzer (commonly referred to as a PAS test) when asked to do so by a police officer at the scene where your vehicle was stopped. 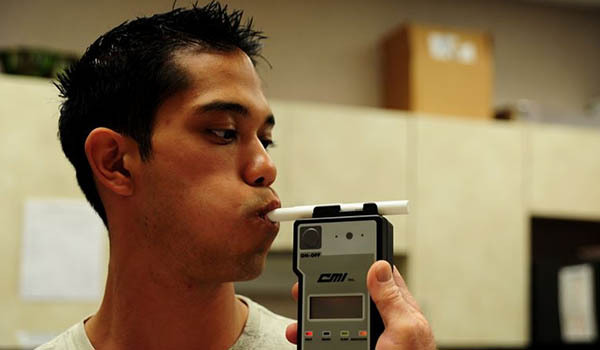 That device is commonly used by police officers to see if you have alcohol on your breath, which is NOT the same as alcohol in your blood stream, and is another tool in their arsenal to support their suspicion that you are DUI but which you are not required to take. 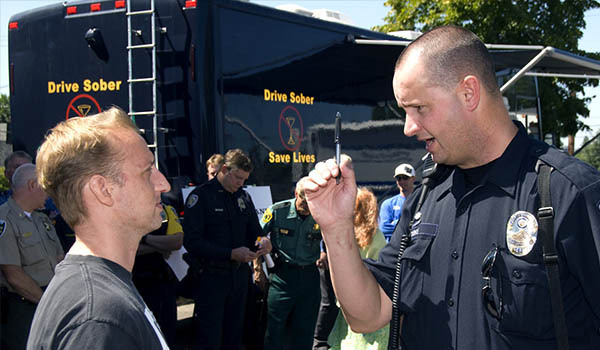 With that said, you are required to take a blood or breath test (authorized and properly calibrated device recognized by the State of California) at the police station or if transported to a hospital after you are arrested for suspicion of DUI. Will my license be suspended on a first time DUI? Yes, if you fail to schedule a hearing with the Department of Motor Vehicles (DMV) within 10 days of the date of your arrest if your BAC is .08 or higher. Either you (or your attorney) must schedule a hearing in order to contest a suspension of your driver’s license. Otherwise, whatever determination is made by the DMV official will result in your license being suspended. At that juncture, you’ll have no recourse but to file a costly Appeal. No one should try to handle a DMV hearing without an attorney. DMV Administrative Per Se Hearings (APS) are similar to a “Kangaroo Court”. You will automatically be presumed “guilty”. The “hearing officer” (who is not an attorney or a judge) will admit all documents into evidence even with no police officer present to lay the proper foundation for the admission of the police report, Blood Alcohol/Drug test results,etc.. However, there are rules of Evidence that preclude such documents from being considered if proper objections are made. Also, other legal defenses may be available that only an experienced DUI attorney knows how to raise which you would not know about so it is crucial to hire a criminal defense lawyer with experience handling the DMV hearing on your behalf. What about if I used drugs (illegal including medical marijuana) but didn’t drink alcohol? Can I still be charged with a DUI? Yes. Vehicle Code section 23152 states a person can be arrested for a DUI whether under the influence of alcohol, drugs or a combination of both. I was not given a choice of BAC tests and instead I was only offered a blood test. Is this legal? Under a California Supreme Court decision in the early 1960’s, a police officer or lab technician could not only require you to submit to a blood test, they could even force you to do so against your will unless such force “exceeded the bounds of reasonable conscience”. There were many Appellate Court decisions afterward that upheld the use of force up to the level of beating the suspect into submission while being handcuffed to obtain a forcible withdrawal of a suspect’s blood. That was still the law in California until 2013 when the U.S. Supreme Court ruled that forcible withdrawal of blood against a person’s will is unconstitutional. Nowadays, a “duty judge” may be called in the middle of the night to grant the police officer/blood tech to draw your blood. This tactic makes the process appear more “legal” but more limited force can still be employed if you refuse to submit to a blood test. The best thing to do is not refuse to submit nor resist when blood is being taken by a lab technician because failure/refusal to submit to a blood test lead to an automatic one (1) year suspension of your license by the DMV and an additional criminal charge being filed against you which will lead to jail time. I My license is suspended but I need to drive to work. Can I get a restricted license? Yes. If this is your first DUI, you will be precluded from driving for 30 days. However, once the initial 30-day suspension is over, the DMV will issue you a restricted license. However, you must be enrolled in a Drinking/Driving program (AB541). This will allow you to drive during term of the license restriction. If this is your second DUI, you will not be permitted to operate a motor vehicle for 1 full year. If you are enrolled in an 18-month second offender Drinking/Driving program, the DMV will issue you a restricted license. However, that is only after you’ve completed one full year of the 18-month program. I’ll lose my job if I have to keep coming to court on my DUI case. Is there anything you can do to help? Absolutely. If you retain The Law Office of John Karas, we will make all appearances on your behalf, without you having to be personally present. We will negotiate a much better plea deal than what a prosecutor offers “pro pers” (people who represent themselves) and better than what the Public Defender’s Office can get for you. If you accept a plea deal, we can appear in court on your behalf for sentencing so you don’t have to take time off time from work. I don’t think the stop was legal. The police didn’t read me my rights? What can you do to help? First, whether the stop was “legal” is something that only an experienced attorney can determine. Many stops by police officers are “pre-textual”, meaning they had a “hunch” you’re under the influence primarily because you were driving late at night or coming out of a bar. I can file a Motions to Suppress all of the evidence the DA wants to use against you (many DUI attorneys don’t). If successful, all of the evidence will result in the DUI charges being dismissed. When the police fail to read you your rights (referred to as a “Miranda”) it’s a little trickier. The officer might say he stopped you for a traffic infraction to conduct a “routine traffic enforcement stop” for anything from a minor traffic violation or “for your safety”. If you are detained (not free to leave after a citation could have been issued) and asked further questions about whether you’ve been drinking that night and, if so, how much, asked to perform FST’s, perform a PAS test (see above), etc., then the detention can be considered “custodial” in which case your statements without a Miranda Warning be given can potentially be suppressed. 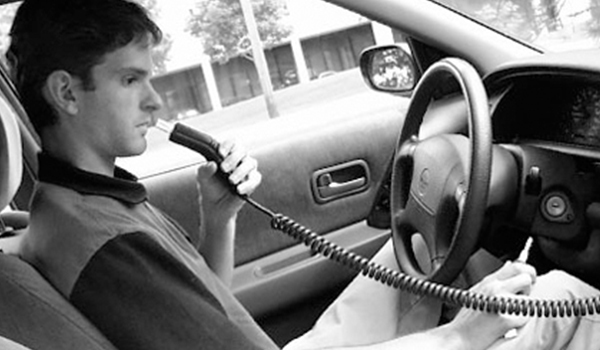 The legal standard in DUI cases is whether you were operating a motor vehicle safely under the circumstances. If you are under the influence of alcohol, drugs (even prescription medications) or combination of both, you can be charged with a DUI. You can be charged with driving under the influence of alcohol, drugs or both under the (a) section for “bad driving” or under the (b) section being over the legal .08 limit in which case you are “presumed” (a rebuttable presumption) to be under the influence and impaired in the safe operation of a motor vehicle. DUIs are considered “priorable” offenses. This means that the penalties for driving under the influence in California increase with each successive DUI or wet reckless conviction that takes place within a ten-year period. 6) Installation of IIG (new law in effect starting 1-1-19) or 30 day license suspension. 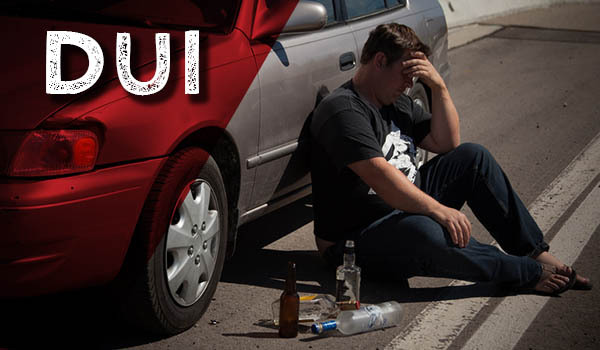 The penalties for misdemeanor DUID are the same as for driving under the influence of alcohol. If charged as a felony for DUID , you are facing up to three years in jail (or 4 years if a third party was injured) and a fine of up to $1,000 (or up to $5,000 if someone was injured). 4) 30 months DUI classes. 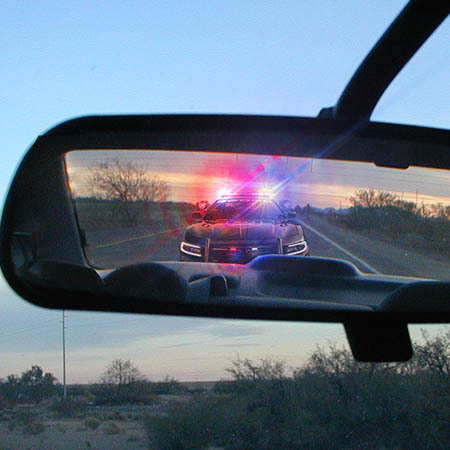 In addition, you can be charged with Felony DUI with enhanced penalties. 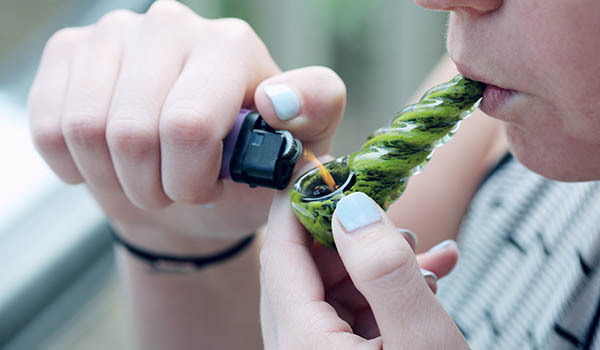 This offense is a “wobbler” meaning it can be charged as a misdemeanor or a felony depending on (1) the seriousness of the injuries, and (2) the level of recklessness in the driving, and (3) your criminal history. Which felony DUI will be charged depends on the specific facts of your case and on your criminal history. “Gross Vehicular Manslaughter while intoxicated is a felony and you are facing a jail sentence in the state prison of 4, 6 or 10 years. Your driver’s license will also be revoked if you are convicted of California gross vehicular manslaughter. Vehicular manslaughter while intoxicated is a “wobbler” meaning it can be charged as a misdemeanor or as a Felony,. If charged as a misdemeanor penalties, you are facing up to 1 year jail time plus the other penalties imposed for a DUI. If charged as a felony, you are facing 16 months, 2 or 4 years jail time in prison plus the other penalties imposed for a DUI. Your driver’s license will also be suspended/revoked if you are convicted of vehicular manslaughter while intoxicated. If you are under 21 and charged with DUI (VC 23136) California has a “Zero tolerance” policy regarding your BAC. If you are caught driving with as little as .01% alcohol ( a trace amount equivalent to less than 1 beer) you face a 1 year driver’s license suspension. Also, if under 21, if you are caught DUI with .05 (VC 23140), you face a 1 year driver’s license suspension, $100 fine, and having to attend a complete an alcohol education program. 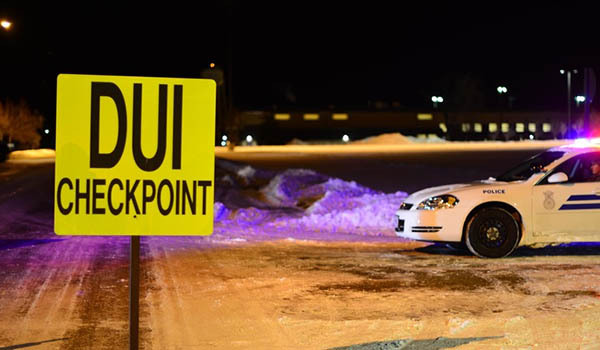 If you are under the legal age to possess alcohol (21) and have alcohol in your vehicle, you face a 1 year driver’s license suspension, up to $1,000 fine, and your vehicle can be impounded for up to 30 days. VC 23224. 2) 20 mph or more over “the maximum, prima facie, or posted speed limit” on a public street. A DUI offender faces an additional 60 days in jail for excessive speed and/or driving recklessly while under the influence on top of the sentence imposed on the DUI. Also, if it is your first Vehicle Code 23582 conviction, you will be ordered to complete an alcohol and/or drug education and counseling program. 2) $300 to $1000 in fines.